Gila had been following my portfolio for a while and when it came time for her and Evan to make things “official”, she approached me about designing a unique engagement ring. It was important to her to work with a local designer and I’m grateful that she gave me the opportunity to design this AMAZING engagement ring. 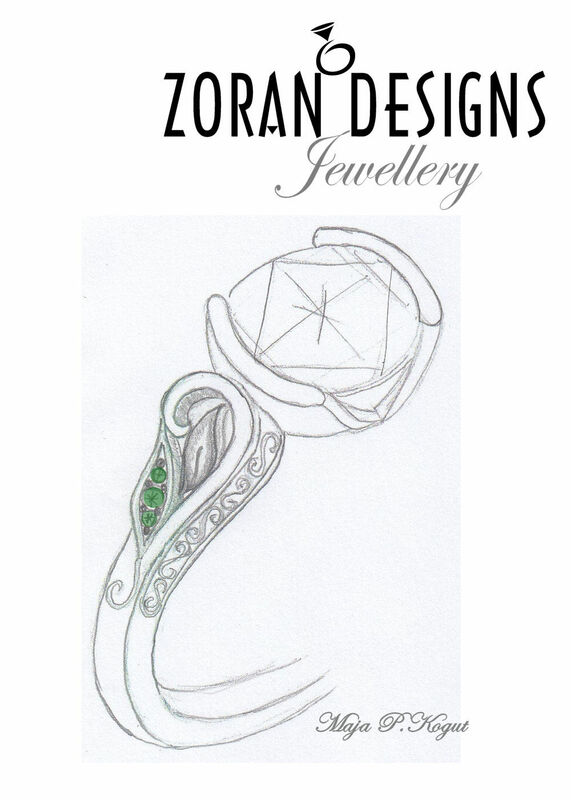 She loved the idea of some colour so instead of accent diamonds, we decided to set emeralds in one of the leaves which worked perfectly with the theme of the ring. Gila selected a beautiful 1.2 carat GIA diamond to set at the heart of this unique platinum ring. The union is a match made in heaven. Congratulations to Gila and Evan!